Natalie Smith, Ph.D. joined Turnaround for Children in 2017 as a Professional Development Specialist. In 2018, she became the Partnership and Professional Development Director. In the Partnership role, Natalie builds the knowledge and capacity of public school leaders to support Turnaround systems and structures in their schools, including Multi-Tiered Systems of Supports that promote positive climate and responsiveness to students’ needs through trauma-informed approaches and strategies. She also provides monthly professional development for school leaders and on-site coaching and support for partner schools in coordination with district and schoolwide goals. In the Professional Development role, Natalie provides coaching to our team members and co-leads the design, facilitation and management of professional learning opportunities for Turnaround’s school-based staff in Washington D.C. Prior to joining Turnaround, Natalie served for three years as Head of School at Sela Public Charter School, a Hebrew and English language immersion charter school in Washington, D.C. She developed Sela’s dual-language, academic and social-emotional programs and increased student growth by over 50% in literacy and math, earning a Tier 1 high-performing award for the school. Natalie began her career in education as a teacher and instructional coach for eight years with Prince George’s County Public Schools (PGCPS). 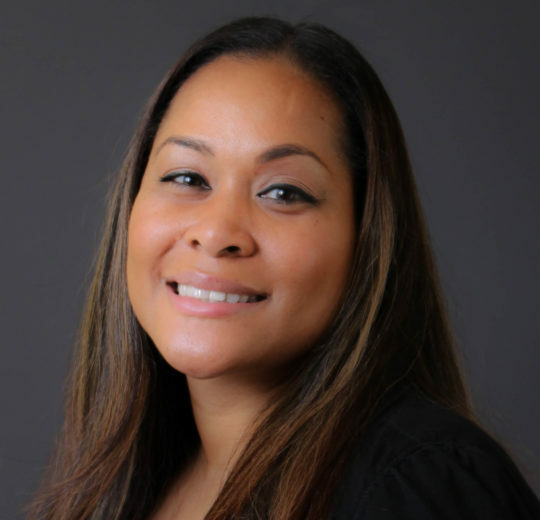 Committed to developing transformational school leaders and teachers and dedicated to breaking the cycle of underachievement of students of color impacted by adversity, Natalie became a director of curriculum, instruction and staff development in 2010. In that role, as a catalyst for transformation, she developed an instructional coaching program and professional learning systems to build the capacity of teachers and leaders, enhance school culture, and increase student achievement and student growth through data-informed instruction. Natalie earned a Ph.D. in curriculum and instruction and an M.A. in human development from the University of Maryland, College Park. She also has a B.S. in marketing and management from Georgetown’s McDonough School of Business. Natalie is endorsed as a New Leaders Principal and is a National Board-Certified Educator. She is ecstatic about the opportunities she has had to advocate for diversity, equity and inclusion through the U.S. Department of Education’s culturally relevant leadership panel discussions and the Shadow a Principal events through her affiliation with New Leaders. Natalie is also an active member of Turnaround for Children’s Diversity, Equity, and Inclusion (DEI) committee. I admire my grandmother, Evis Chin, who is a praying woman and the backbone of our family. She grew up in Jamaica, was widowed at a young age, and had to raise five children on her own. She taught me to pray and press forward through adversity while keeping a positive attitude. She migrated to Toronto, Canada, and built a successful career in law. She is a strong woman of faith and definitely a superwoman in my eyes! At 81-years young, my grandmother is still active in ministry and always willing to give of her time and resources, as well as support and pray for those in need. Paul Bambrick-Santoyo’s “Leverage Leadership: A Practical Guide to Building Exceptional Schools” meticulously delineates seven principles or “levers” great school leaders take to drive consistent, transformational, and replicable growth in their schools. As a school leader, it reminded me to focus on instructional and cultural levers simultaneously in order to ensure extraordinary results.